Not far from the "Logis du Roc", you can also rent a flat, and a little house for 3 people. Don't hesitate to contact us by email or by phone. Come to Granville to breathe its sea air. 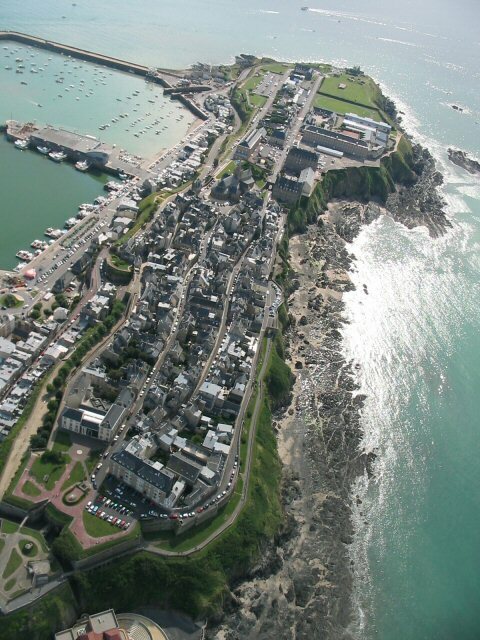 Granville is situated on the West coast of Normandy in the Bay of the "Mont Saint-Michel". When you stand on the "Roc', you can also see the Chausey Islands in the distance. It is a lively and beautiful town which brings thousands of tourists each year in quest of a restful and different holiday. The Saturday morning market is worth a visit with its colourful stalls displaying local products. Take a walk along the original walls of the "old town" (la Haute-Ville) with its breathtaking view on an emerald sea and the coast will rejuvinate you. It offers to your eyes a magical show with spectacular sunsets. Take time to wander around this medieval city and let yourself be taken back to a past era. 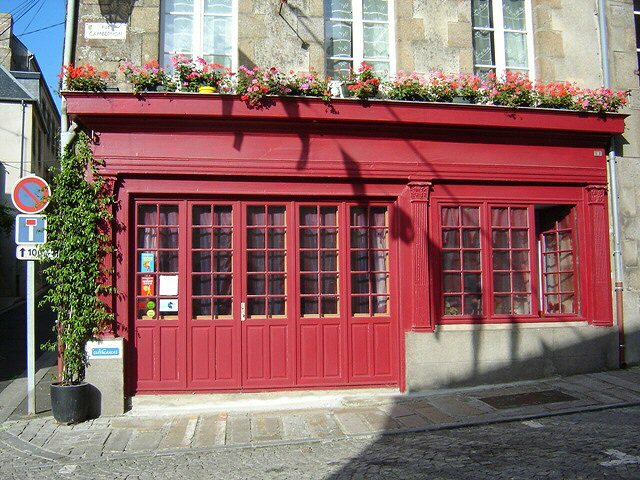 The "Haute-ville" (where the flat and the rooms are located) stretches spectacularly on its rock and offers a superb walk through its cobblestone streets, with its old granite houses and its coasts with an exceptional panorama. 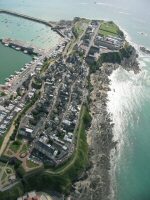 Granville has a fishing and a "sailing boat" harbour with daily departure for the Chausey Islands (natural and peaceful paradise) and the Channel Islands of Jersey and Guenersey. Boat lovers will be thrilled with the harbours and the yacht club at its centre. Bushwalkers will appreciate the beauty of the landscape on the coastal path. You can also go on an unique walk across the bay of the Mont Saint-Michel with a guide who will share with you many stories of this fascinating place classified "World Heritage" by UNESCO. The exploration of its extraordinary Abbaye built on an island is a must ! If you are interested in history, Normandy is the place to visit. A number of historical sites are worth visiting. Among them is the Bayeux Tapestry, an amazing piece of tapestry which recounts the conquest of England by William the Conqueror in 1066. For those interested in World War II, Normandy is where the Allied Forces landed on the D-Day Beaches. You can also visit the village of Sainte-Mère-Eglise, the first village to be liberated. The city of Caen is also worth a “detour” with its famous World War II memorial. Normandy is very rich in history and you will be delighted to discover all these places of historical significance. Le Mont Saint-Michel : Wonder of the Western World. La Cité de la Mer in Cherbourg : Discover the City of the Sea Museum which recounts the adventures of man beneath the sea, with its deep sea aquarium and its 3,500 fish, and the Redoubtable, the world's largest submarine open to the public. In Avranches : les Manuscrits du Mont Saint Michel, le Jardins des Plantes. The D-day beaches : Utah-Beach, Omaha-Beach, ... and some famous places of the 2nd World War (Sainte-Mère-Eglise, the "Pointe du Hoc", ...). Le Mémorial de Caen : a destination that is not to be missed by tourists in Normandy, is today one of the first memory sites in Europe, with nearly 400,000 visitors per year. 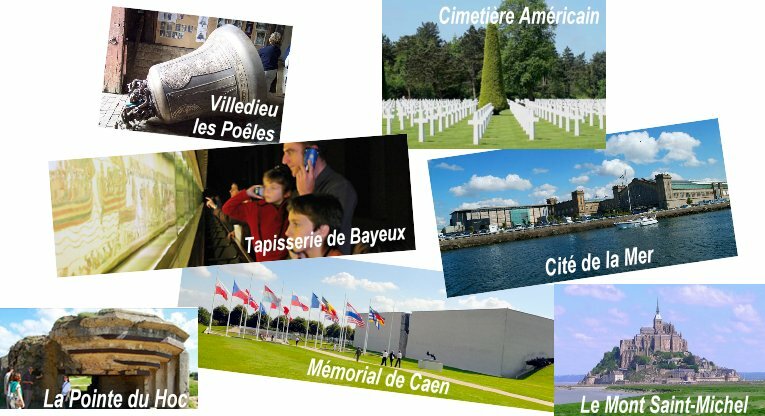 Le Mémorial de Caen has received several awards for its quality of reception and the wealth and quality of its content and offers several packages including guided tours. It's a major modern museum dedicated to the history of the 20th Century. Its innovative and emotionally charged presentation invites the visitors to take a journey through history and a consideration of the planet's future in three museum spaces : the Second World War, the Cold War and the theme of Peace.